Given Florida’s beautiful weather, it is very common to see people on bicycles at all points of the year. However, the roads in many Florida cities are not all that bicycle friendly. Accidents do happen, and regardless of the root cause, they can be devastating. While sometimes cyclists are responsible for their own injuries, there are multiple occasions where automobile drivers cut corners and make the road less safe for bicyclists and pedestrians. 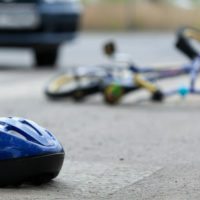 If you are hurt by a driver’s or another cyclist’s negligent conduct, you may be entitled to compensation. Florida has reported high numbers of bicycle accidents for many years now, though there has been a notable decrease in both overall numbers and fatalities. In 2015, the Florida Integrated Report Exchange System (FIRES) reported 7,131 bicycle accidents and 154 fatalities, while in 2016 6,671 accidents occurred, with 140 deaths. 2017 data dropped even further, with only 119 deaths and 6,665 accidents. 2018 data appears to be on a similar trajectory, but at the same time, Florida’s overall numbers remain high. NHTSA statistics routinely list Florida as having one of the highest totals of bicyclist fatalities, earning that honor in 2010-2012 and 2015. The reasons for such high numbers are somewhat unclear. One often cited possibility is simply that Florida is a state which has a serious influx of tourists at any given point in the year, and having more people than average who are unfamiliar with the streets and the flow of traffic can certainly give rise to increased accident totals. Another possibility is the poor traffic planning on display in many Florida cities – Smart Growth America, an urban planning think tank, puts out a report each year on the most dangerous U.S. metro areas for pedestrians and cyclists, and in 2016, an astonishing seven of the top ten entries were cities in Florida. Tampa came in at #7. Bicycle accidents can be devastating, and if you are involved in one, your primary objective should be to seek medical treatment. Obviously, ensuring that no major injuries have occurred is of paramount importance, but it is also a good idea to have your medical records available, if you wind up deciding that bringing suit is a good idea. Bringing a civil suit against an automobile driver or another cyclist who may have caused your injuries is a standard negligence case, meaning that medical records and any witness statements can be important in establishing proof. These types of cases have three parts that must be proven: (1) that the duty of care that everyone on the road owes to one another has been breached; (2) that the breach of that duty was the direct cause of the plaintiff’s injuries; and (3) that the plaintiff actually did suffer tangible injuries. It may be plausible that you contributed in some way to your own injuries, but under Florida law, that does not bar any recovery from the defendant for the part that they were responsible for, if a jury does find them responsible. Being in a bicycle accident can be scary and disheartening, especially since it can keep a person laid up for a long time when all they want to do is be out exploring. If you have been hurt by someone else’s negligence while on your bicycle, contacting a Tampa bicycle accident lawyer can be a good idea. The Rinaldo Law Group has knowledgeable and dedicated attorneys who will work hard to ensure that your case gets a fair outcome. Call us today at 813-831-9999 to set up a free consultation.